I’m a big fan of Bill Bruford. I always have been since his days in Yes. The truth is, though, if I didn’t even know who he was I’d still enjoy this book. That’s high praise. I don’t really know if I’d call this an autobiography, though. 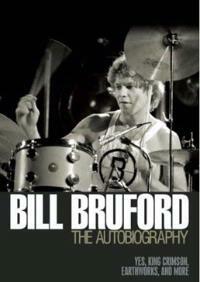 Sure, it covers Bill Bruford’s life, but in sort of haphazard stream of consciousness way. It gives one a much deeper insight into Bruford’s psyche than an autobiography, but perhaps is a bit short on some of the details and doesn’t really tell a story of his life so much as it tells multiple inter-related, interconnected, yet separate stories. Indeed, I’d consider this to be so much more than an autobiography. Bruford’s writing style is natural. He has a great sense of humor and it really shows in his prose. He seems exceptionally humble and presents much of his story as an “every man” caught in the crazy world of the music business. He’s a man who is in music (well, was in as he’s now retired – at least from live performance) for music’s sake and for the art form itself. He has essentially avoided fame and fortune. One can say that many people make that statement but continue on the path to riches and all the notoriety that goes with it, but for Bruford it’s different. Who can argue with the man when he left Yes after the creation of Close to the Edge because he felt that they’d done everything musically they were going to do? 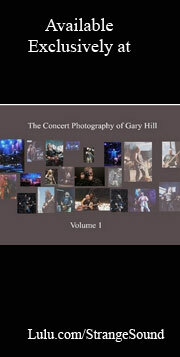 If that isn’t a case of leaving definite fame and rock star status for your art, I don’t know what is. All in all, this is a great book. 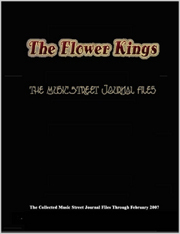 It’s an entertaining read that will have you laughing and thinking. It will enlighten and inspire. I don’t really think it fits what I consider the concept of an autobiography. Probably a memoir would be more accurate. But whatever you call it, it’s a great book that should please long time fans of Bruford, but also anyone who has an interest in the music world.